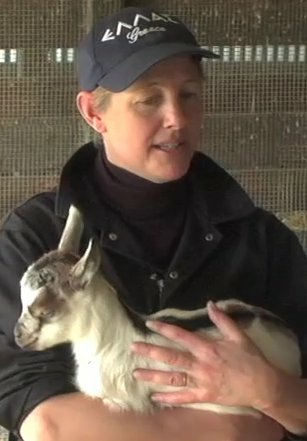 A visit to Harley Farms Goat Dairy in Pescadero is one of my most favorite day trips to take from San Francisco. Just an hour's drive south of the city, down a gorgeous oceanfront stretch of Highway 1, the farm offers scheduled dairy tours, cheesemaking classes, and seasonal farm dinners. In addition, drop-in visitors are welcome daily to browse the farm's fantastic shop, sample and buy its award-winning cheeses, and even cuddle a goat or two. Became Today is focused on the entrepreneurs who run San Francisco's most influential, neighborhood-shaping small businesses. Hi there! I'm Colleen Taylor. I created Became Today to take a more intimate look at the people who build businesses and make them work. I hope you'll find this website to be a source of insight and inspiration.